DAVID LE/Staff photo. 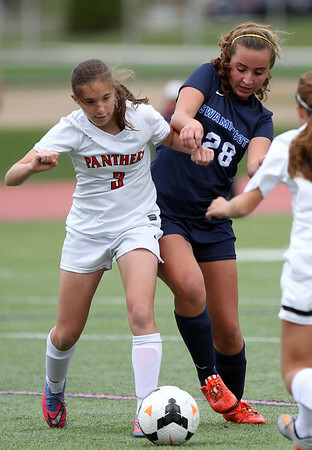 Swampscott's Maggie DeGrande (28) fights for position on a ball with Beverly's Jordan Butters (3). 10/1/15.